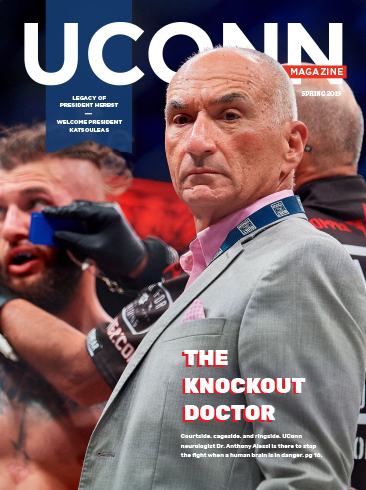 Much of this issue’s mail either lauded the UConn Health doctor seeking a cure for the rare GSD disease or lambasted us for the headline “In Russia, you simply couldn’t be a writer if you were Jewish.” The fact that the headline was in quotes did not make it clear to all that it was Litman’s personal point of view. See her response below, along with a sampling of the letters we received on many subjects. Have something to tell us? We’d love to hear it! Email the editor at lisa.stiepock@uconn.edu or post something on our website. Thank you for this article and Gayle — if you read this, thank you for persevering and getting Dr. Weinstein to Connecticut. My son is 6 and has GSD 1a, and this gives me so much hope that there will be a cure by the time he is a teenager. Thank you for this great article. We have a grandson who is 1 year old and has GSD 1a. We would love to see him get in to see Dr. Weinstein at UConn; he is on a waiting list now. What can we do on the West Coast to help with the cause? Editor’s Note: To inquire about seeing Dr. Weinstein, call his program coordinator: Traci Resler at 860-837-7800; to donate to the cause, visit www.GlobalCenterForGSD.com or www.AlyssasAngelFund.org. That is so biased and so not true! No one cares if you are Jewish in Russia. Actually, it is quite the opposite. There were and are so many accomplished Jewish scientists and artists in USSR and now Russia. I don’t agree with the points made on migration and the discrimination of Jewish people. No one has his/her nationality stamped into their passport. Associate Professor of English Ellen Litman replies: It seems that the comments are about life/conditions in the present-day Russia, whereas my experience dates back to the eighties and early nineties. In those days, one’s nationality was absolutely recorded in one’s passport. I am glad to hear that this is no longer the practice now. On the point about discrimination of Jews, once again, I’d like to believe that the commenter is referring to the present-day conditions and that the discrimination my generation experienced is a thing of the past. While he is correct that there are and have been prominent Jewish writers, artists, and scientists, the path was by no means clear or obvious, at least in my experience. I would like to suggest one of the books mentioned to my book group. Are they available at Barnes & Noble in Storrs or through Amazon? Editor’s Note: Litman’s books are in the Storrs Center Barnes & Noble, on BarnesandNoble.com, and on Amazon. 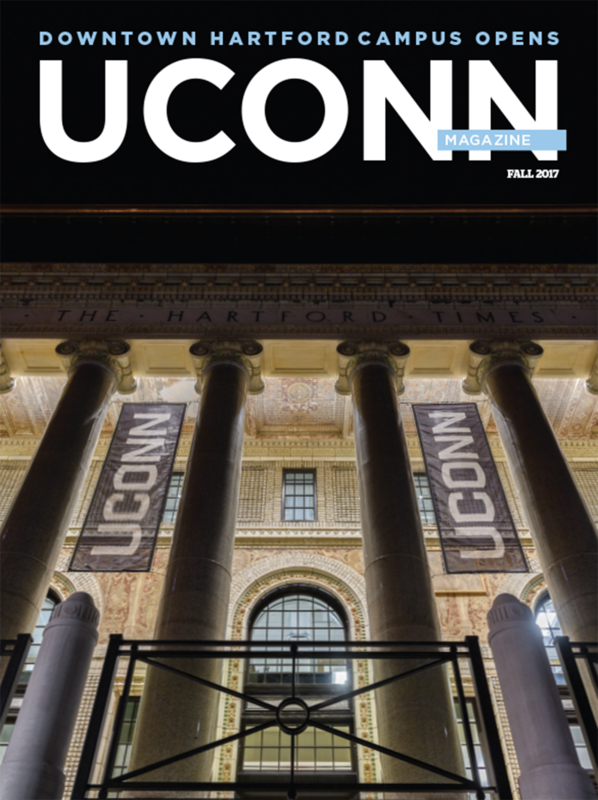 I read the article on “UConn Nation Gives Back” and want to be involved next year. Congratulations to a wonderful, talented athlete and an unparalleled role model. A well-deserved honor! Great article. I hope that the author took proper care to ensure that Gibrael or his family could not be targeted from the information in this article. It was probably unnecessary to insinuate that Gibrael was doing anything other than his duty as far as his relationship with U.S. forces. Michael Zacchea replies: The reason we included Gibrael's picture is he was killed in combat in November 2004 on the way to Fallujah. We remain in contact with several of the other Iraqis featured and have taken great care to hide their identities.